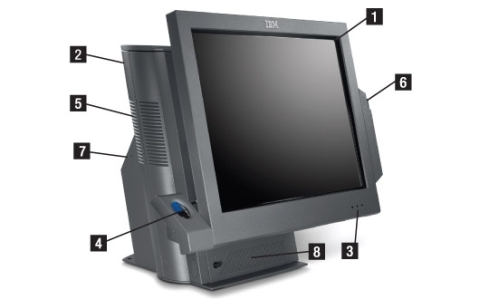 IBM Point of Sale Hardware | RTC Group, Inc. The IBM SurePOS 500, ideal for retail point of sale systems, is a tool-less design (on select models), makes for fast and easy service and helps to reduce the TCO (total cost of ownership). Because of its reliability, onsite service calls are reduced and that means more money in your pocket that can be used to grow your business. Countertop space is a premium for all retailers who want to ensure their POS technology doesn't take up valuable selling space; the small SurePOS 500 footprint is sleek and perfect for the smaller countertop. The spill-resistant, infrared touchscreen is available in 12", 15" or 17"versions. 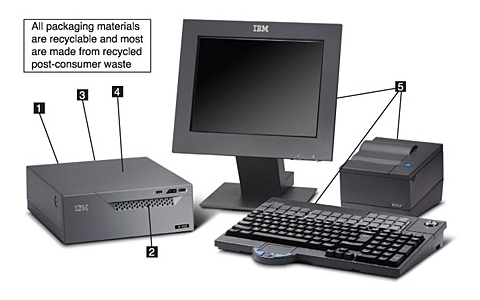 As with all IBM products, the IBM SurePOS 500 is reliable and durable. The units have undergone extreme testing and are designed to withstand severe conditions of heat, cold, humidity, vibration, power fluctuations and radio interference. What does that mean to you as a retailer? Less down time. Contact an IBM POS consultant today.